On the blog today, I am sharing four cozy layering looks that’ll not only keep you stylish but warm. Layering usually isn’t necessary for sunny California, but since it’s more like chilly California these days, I’m taking all opportunities to layer up. Also because I ate a lot during the winter time, so I'm liking this whole layering thing. 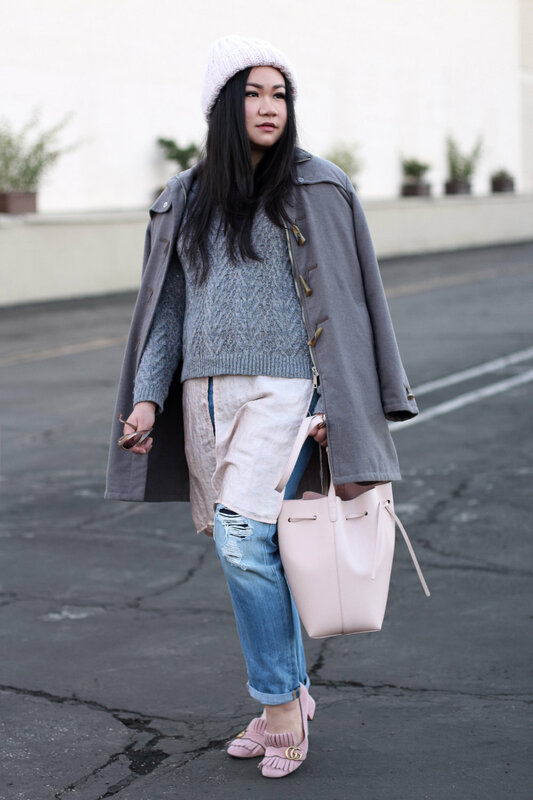 Coats are my key piece to layering. My body type is more on the top heavy side so thick sweaters usually end up making me appear like a giant walking marshmallow. 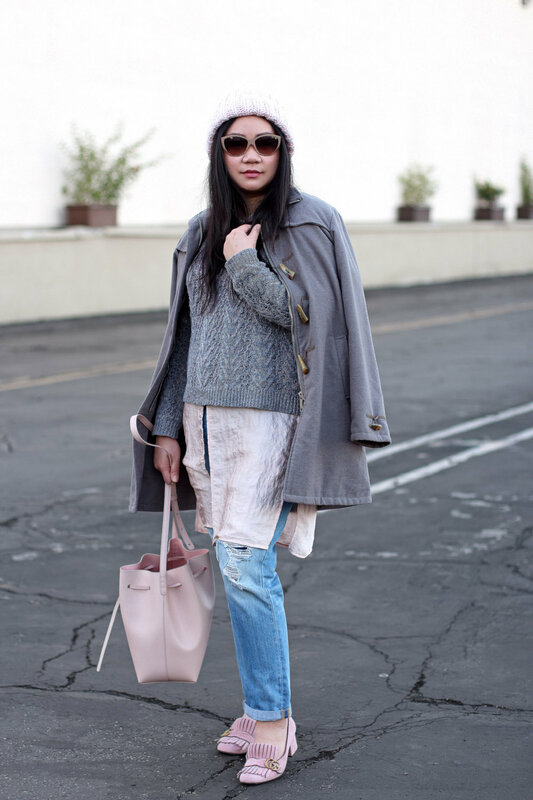 So, luckily long coats help tie the look together by elongating and slimming the figure. But in general long coats are flattering on all body types. Shorter coats aren’t as flattering on us top heavy gals because it just makes you look you know, top heavier. So one trick around that would be to wear something form fitting on the bottom like black tights (see the third photo set for ex.). Coats are also clothing pieces I don’t mind splurging on because they are timeless, elegant, and classic. Add a wool coat on anything and BAM instant sophistication. I don’t care if you’re wearing a paper bag just add a nice wool coat and you’re ready to go. Ok, maybe we’ll draw the line there..maybe. P.s: I’m going to New York Fashion Week February 8-16th, and that’s when the real layering shall begin. Wish this California girl good luck!